Mira Uzwyshyn has been practicing with Oakley Eyecare since 2005. She graduated from the Illinois College of Optometry and went on to practice in Boston and New York. She enjoys managing and treating ocular disease and examining patients of all ages. In May 2015, she will be practicing for 20 years! Mira has worked in various office settings including a large group ophthalmology practice (specializing in retina, glaucoma, pediatrics, cornea and general ophthalmology), solo private practice, and has co-managed laser vision correction. She has volunteered on missions providing eye care and glasses for cane cutters and their families in the Dominican Republic with the Batey Relief Alliance. She spoke at the United Nations, as a representative, on behalf of the sugar cane workers and their families. She enjoys running, yoga, hiking and playing with her daughter Lily. "My greatest pleasure is getting to know my patients and their families and being able to care for their eyes"! Dr. Bruce was born and raised in small town Saskatchewan. Her undergraduate degree, in Chemistry, was earned at the University of Saskatchewan, in Saskatoon. She then moved to Chicago, IL., where she attended the Illinois College of Optometry. She graduated from optometry school in 1999. She started her career in Saskatchewan, and worked in private practice for approximately 3 years. As Dr. Bruce's parents are originally from Manitoba and she has a family cottage on Lake Winnipeg, she made the decision to move to Winnipeg in 2002. She is currently practicing with Oakley Optical, and has been with the company for 1.5 years. She is located mainly at the Kenaston office, but does float to both the Regent and Portage locations as needed. On rare occasion, she can also be found at the Oakley Vision Center in Gimli. "I really enjoy working with Oakley Optical, great office environment and staff!" In Dr. Bruce's spare time she can be found exercising, at the Lake and/ or spending time with her family and friends. 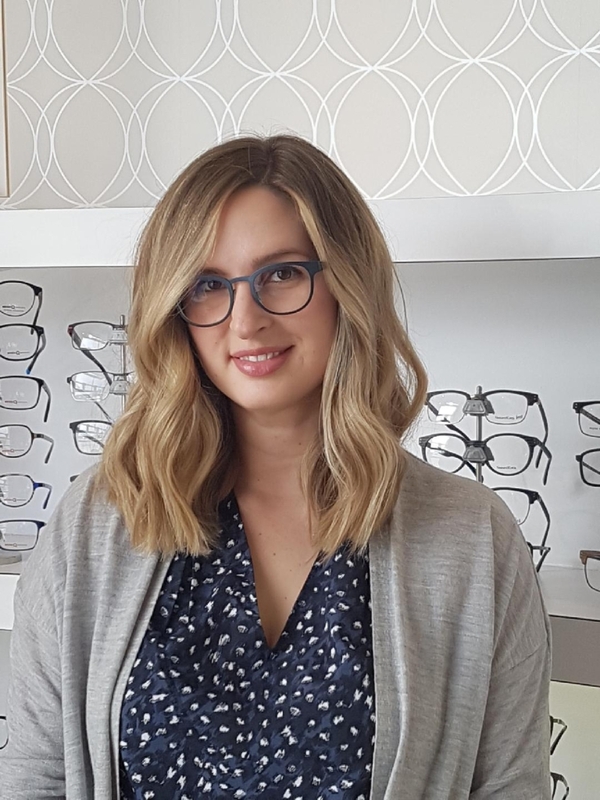 She recently became the President of the Manitoba Association of Optometrists. "This new position is both challenging and exciting!" "I love what I do and I am very fortunate to have a career that I enjoy. The eyes are complicated, fascinating and just plain cool! 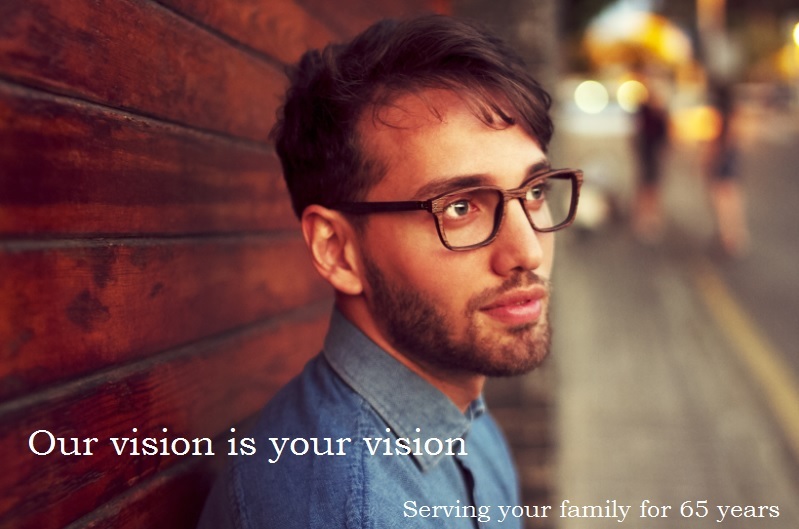 I look forward to a lifetime of caring for people's vision and eye health:)"
Adam joined Oakley Optical in 2016. He graduated with his Doctor of Optometry degree from the University of Waterloo in 2008. After graduation, Adam pursued an MSc in Vision Science with a focus on novel techniques for the diagnosis of dry eye, and subsequently worked at the Centre for Contact Lens Research in Waterloo. He has published numerous articles in peer-reviewed journals, and has lectured in the US, Canada and UK on his research. Following his time in research, Adam transitioned to private practice in Grande Prairie, Alberta, where he worked for four years. 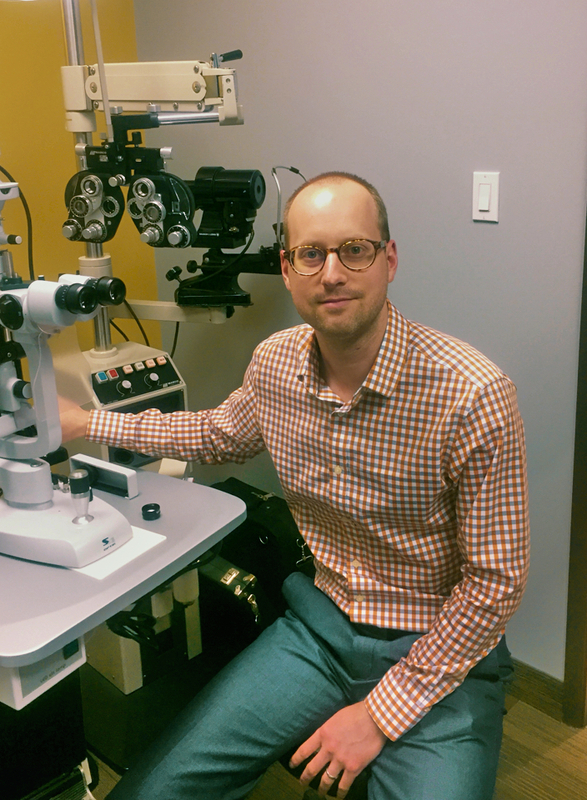 Adam primarily practices at the Oakley Regent location, but can also be found at the Portage and Kenaston offices. He is excited to join the Oakley team, and carry on their long-standing tradition of providing excellent vision care to their loyal patients and customers. 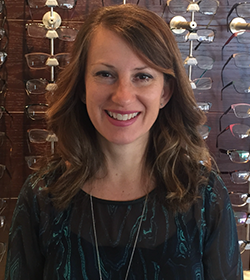 Dr. Caitlynn Keech joined Oakley Optical Eyecare in August 2016, and primarily practices out of the Kenaston location. Dr. Keech is originally from Kenora, Ontario and is delighted to call Winnipeg home. Dr. Keech is proud to have attended the University of Waterloo for all 8 years of her post-secondary education. After the completion of her Honours Bachelor of Biomedical Science degree, she went on to attend and graduate with honours from their Doctor of Optometry program in 2012. Her clinical externships included both private practice Optometric settings and fast paced Ophthalmological clinics specializing in cataract surgery, retinal pathology and refractive error correction. In fact, Dr. Keech even underwent LASIK herself in 2009. After the birth of their first child in 2015, Drs Caitlynn and Adam Keech decided to relocate from Northern Alberta to Winnipeg in order to be closer to family. They welcomed their second child in August 2017. On her days off, she can be found spending quality time with her family while enjoying all of the amenities that Winnipeg and the surrounding areas have to offer. "We are quite settled in Winnipeg and feel right at home in this family-oriented city. I love meeting long-time patients of this historic clinic and welcome new patients of all ages to our practice." © Oakley Optical 2019. Intuition theme by CPOThemes.